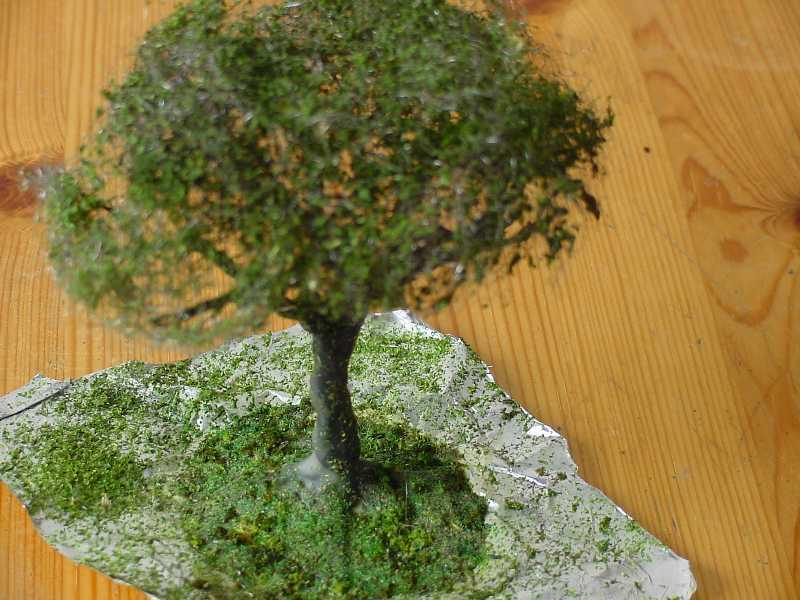 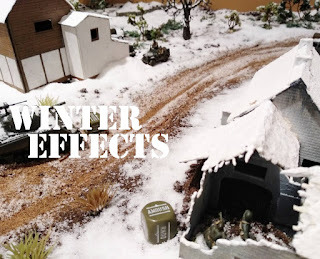 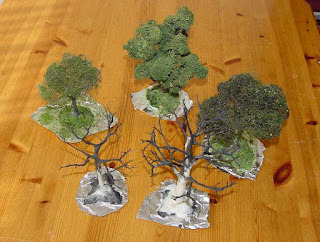 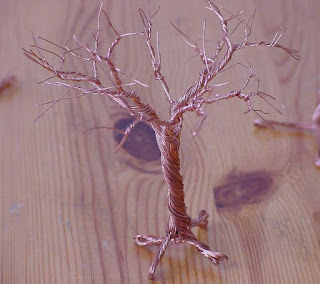 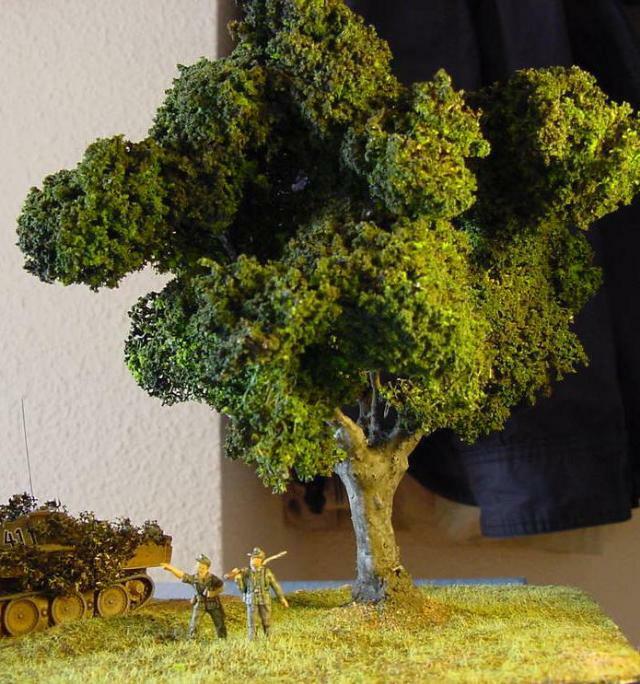 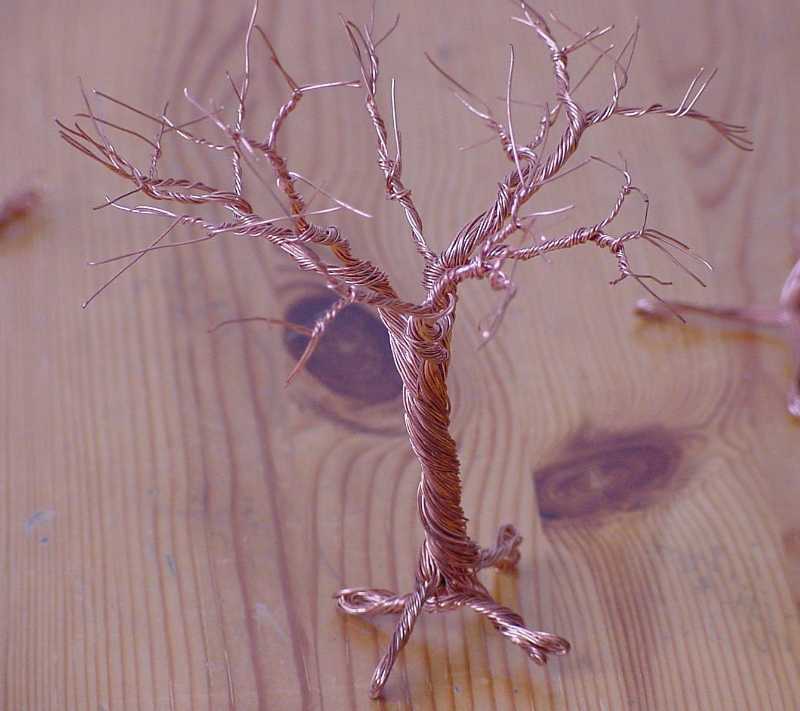 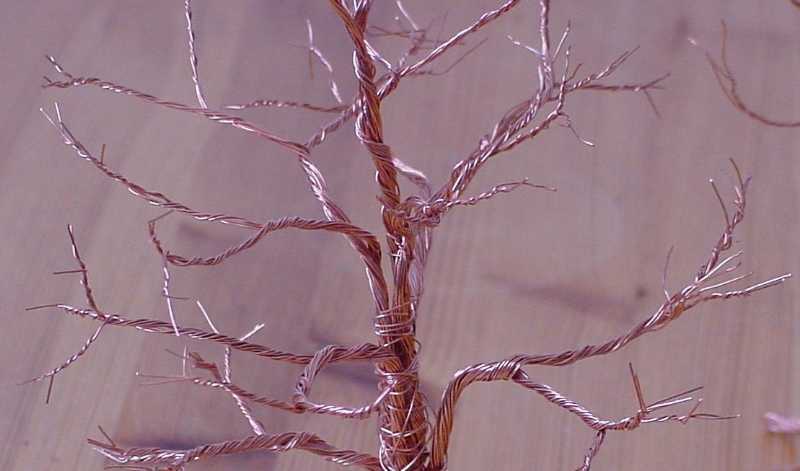 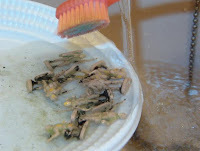 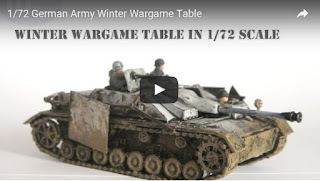 The technique of using twisted copper wire to make tree armatures is quite well known to railway enthusiasts, diorama builders and wargamers. 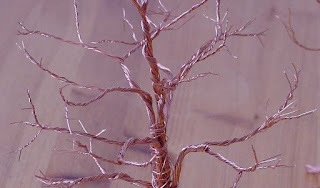 The twisted copper wire armatures have been covered with various layers of white glue and black paint and the foliage has been made from steel wool (like Brillo but without the soap) covered by dried herbs and scatter material. You can also use lichen, as can be seen on one of the trees in the photographs.